Rejected contributions, boycott calls and a public letter refuting her words were some of the tactics freelance reporter Claudia Zimmermann faced after exposing her employer, German public broadcaster WDR, for sticking to pro-government narrative on migrant crisis. Speaking to RT Deutsch, Zimmermann said she fell out of grace with the bosses of WRD, which is part of the ARD group of Germany’s regional public-service broadcasters, after she revealed the pressure on the employees to refrain from criticism of German Chancellor’s Angela Merkel controversial “open door” policy towards refugees. “There are various committees that determine the program policies, which instructed the editors to support the Merkel government policy,” she said. The interview went on air on the heels of New Year's Eve sexual assaults in Cologne that were initially blamed on asylum seekers of North African and Middle Eastern origin. The violent attacks sparked outrage with the German public and opposition, highlighting the growing dismay with the “welcoming” approach, personally propelled by Merkel. After Zimmermann’s insight into the WRD’s story selection started making rounds in German and international media, she was contacted by the broadcaster which sought to “minimize the damage” to its reputation. 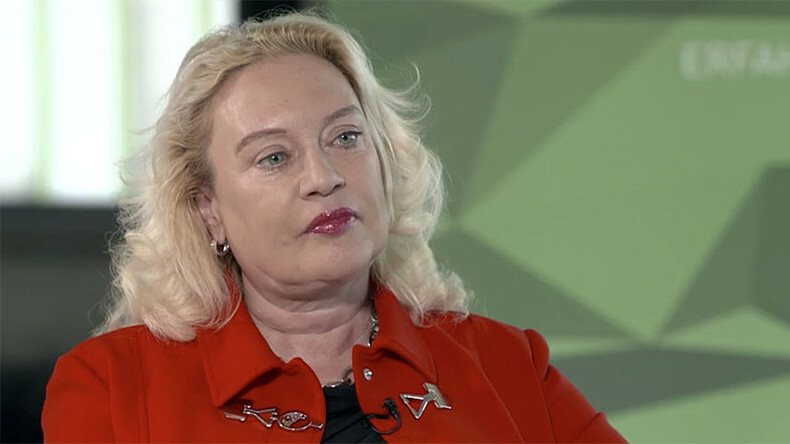 Although Zimmermann agreed and apologized, saying that she was “talking nonsense” while being “under pressure of live broadcast”, she told RT Deutsch that her repentance refers only to her failure to clarify the functions of Germany’s Broadcasting Council during the interview. As for the essence of her message, Zimmermann says she stands completely by her words. “In the media, not only in WDR, Merkel’s migrant policy received a very strong backing by journalists. Some journalists, including me, tried to offer more critical topics, but they weren’t approved,” she said. “I haven’t apologized for my actual words. I have never disavowed them and I don’t disavow them now,” she said, noting that contrary to reports by some media, she has never mentioned receiving any “written instructions” from the government. “It would have been too obvious and would have sparked a protest. The thing is, as I has already said before, pressure comes from above. Unfavorable topics are simply not greenlighted. So a journalist does not have even a chance to offer such a topic,” she said. While WDR publicly vowed not to sack Zimmermann and followed through with its promise up to this moment, many of her contributions have been since turned down. She noticed that some of her rejected topics were handed to other WRD journalists. “I even complained about it,” Zimmermann said, noting that the topics she had covered for years, completely unrelated to politics, like international art fairs, suddenly changed hands. Moreover, the journalist noted that she has been silently ostracized by WDR, saying that the broadcaster recommended her colleagues to steer clear of her and sign a public letter praising the company’s integrity and denouncing her remarks. “The funniest part in this story was that the half of all employees did not sign this letter. There was a heated internal discussion among the employees,” Zimmerman said, adding that despite the majority refused to put down their signatures, some media outlets portrayed it as through it was a unanimous condemnation. “I know that they, in WRD, asked that employees don’t have any contact with me, don’t talk to me. I was told so,” she said, adding that some of her colleagues have continued to back her in private while having to keep a distance in public. Speaking on instances of biased coverage in German media in general, Zimmermann said she believes the media are telling only one side of the story when covering Russia-related topics and its reunification with Crimea, in particular. “I would like the coverage of this issue to be far more substantial and balanced,” she said. 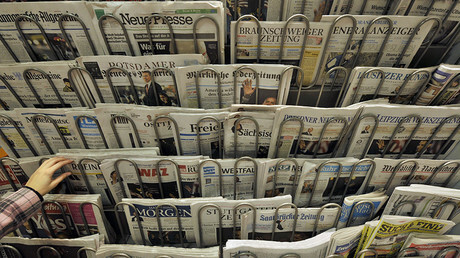 The same could be observed in the way the German media is handling the Syrian conflict, Zimmermann said. She spoke about a colleague who last year proposed to make a story about the other side of Syria’s life, not scarred by the war. “She wanted to tell about a beautiful Syria. About its beauty, about the way they celebrate holidays and that the war is not everywhere,”Zimmermann said, adding that her colleague was discouraged by the rejection.